Breton – a Pernod Ricard man, and the chairman and CEO of Martell Mumm Perrier Jouët – nodded for me to continue. Thetruth is I didn’t want to do anything at that particular moment other than savor Arnaud Lallement’s heavenly Asperge Verte deRobert Blanc, but Breton had finished his trio of asparagus and obviously had other ideas. The story began, I told him, with repeated efforts by Mumm in the mid-1990s to get me to visit their new facilities. I had droppedin on Mumm several times throughout the early to mid-1980s, but I had a backlog of growers onmy must-visit list and absolutely no incentive to see Mumm while it was churning out Champagne I could not drink, let alonerecommend. 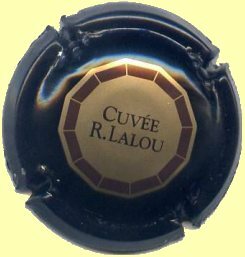 I recently wrote up the story of Mumm and Cuvée R Lalou, the Champagne that might just have changed all that, for World of Fine Wine magazine. With their permission wine-pages visitors may now download the .pdf version of the article. The World of Fine Wine magazine is devoted to wine and all thing vinous. Contributors include Jancis Robinson, Michael Broadbent and Michel Bettane amongst many others, under the editorial leadership of Hugh Johnson, Andrew Jefford and Neil Beckett.